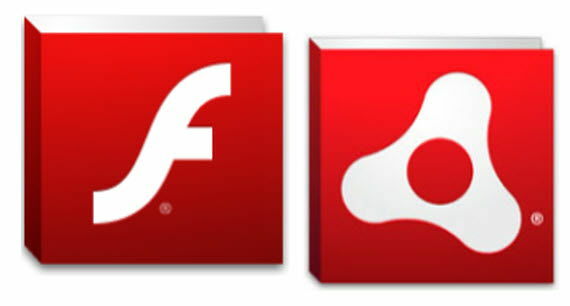 Adobe has announced the latest Flash Player 11.9. 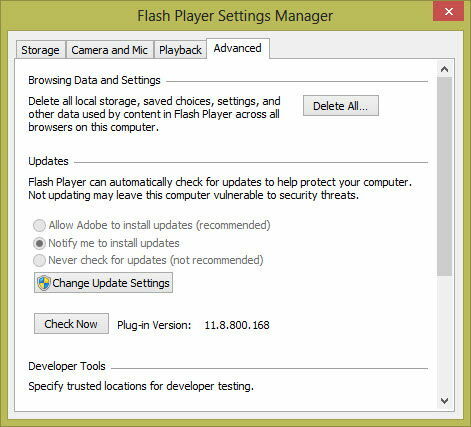 If you are looking for the latest version of Flash Player to be automatically installed, you’ll need to change your configuration settings. And if you are using Windows 8, this release of Flash Player will not be compatible with your Operating System. Flash Player for Windows 8 is available as a part of generally available Windows Update. On Windows 8, you will need to wait for Windows Update to update your Flash Player to the latest version. The system requirements of Flash Player 11.9 remain the same as Flash Player 11.8. Flash Player 11.9 release concentrates more on enhancing support for Apple technologies. For example, support for iOS7 has been added. Both Flash Player 11.9 and Air 3.9 should work on iOS7 devices. Flash Player 11.9 support has been tested and added to Mac OS 10.9. Mac OS 10.9 is yet to be released and Flash player should work find on the platform. Now users will be able to deploy Player Player 11.9 on Mac using .pkg file as .pkg installation support has been added. This will make it easier to deploy Flash Player across the network for system administrators. You can see the installed version of Flash Player by going to the Advanced tab. Note: Flash Player 11 has become obsolete. You may download the latest version of Flash Player from here.